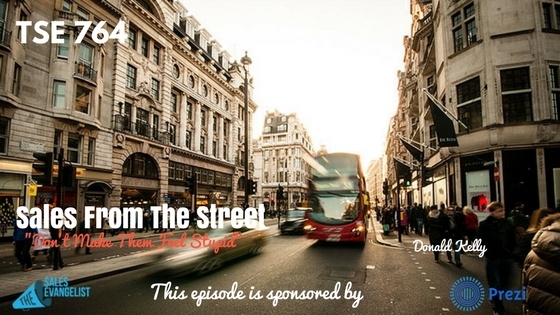 TSE 764-Sales From The Street-"Don't Make Them Feel Stupid"
As a seller, our job is to ensure we make our prospects feel comfortable with us. 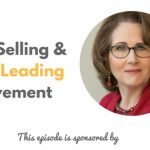 During this episode, I share why and how we should help our prospects feel comfortable. As a new sales professional, you want to get a templated script and be able to follow along. You want to know exactly what to say, when to say it, how to say it. You just want everything laid out so you only have to follow it, thinking it’s going to work in every perfect situation. You need to have intelligent business conversations. 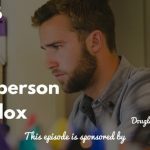 One of the major challenges I had when I was starting out was that I was being robotic as a sales professional. Scripts are not bad per se, but it’s bad when you’re just reading the script and going without emotions, without connecting or understanding the person you’re talking to. Don’t make your customers feel confused or look stupid. When you’re just reading off the script and you have no emotion built into it, that would make them think you’re stupid. Don’t just ask rogue questions to the customers that don’t necessarily make sense to the customer because you didn’t do research on them. First, understand how your customers are making money. What are the challenges that cause them to not make money? Try to research on their industry to get a better understanding. That way, you’d know how to move the needle and have a business conversation with them.